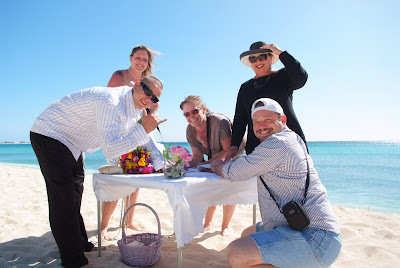 This young couple from Myrtle Beach, South Carolina sailing on the "Voyager of the Seas" sailed into town, and although George Town Harbour was rough and they had to embark at Spotts it was all systems go for their barefoot beach wedding at Blue Water Beach. 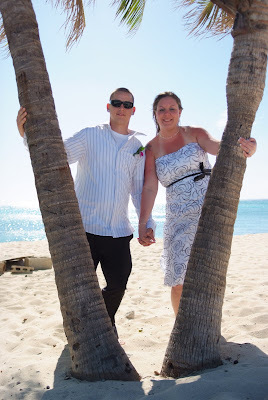 One of the things I get asked the most from couples wanting a beach wedding is - will there be coconut trees? 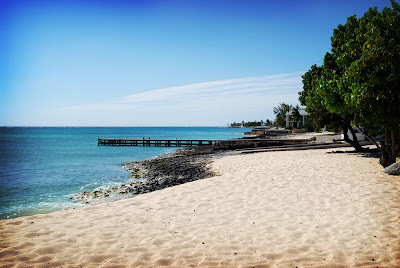 At this beach on the northern end of Seven Mile Beach, yes! This beach location has a little pier, so couples can get beach pictures, pier pictures and rock pictures all in one place. 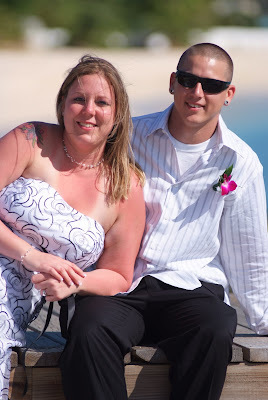 here are the newly weds sitting on the pier. Yes, they also got full of sand in this unusual shot. 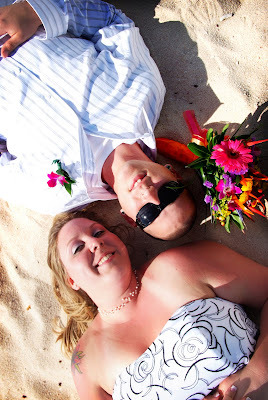 Leave your footprints in the sand at your own beach wedding. 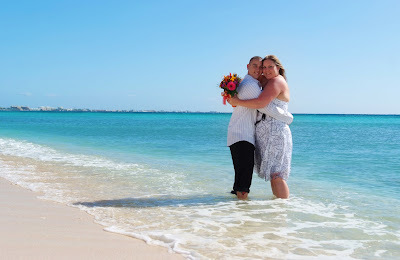 Call me for for my all inclusive Cayman Islands Beach Wedding today (345)5256551 or celebrate a milestone in your married life with a Cayman Beach Wedding Vow Renewal. 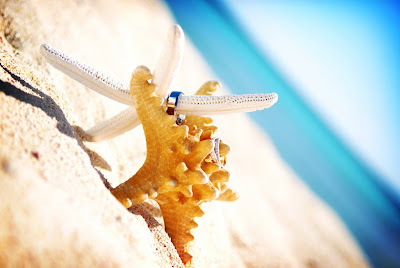 See my new website at www.cayman-islands-weddings.ky and find the package that meets your dream. This wedding, ceremony by Joy of Weddings for Simply Weddings, flowers by Trisha's Roses, photography by Margot of Picture This.